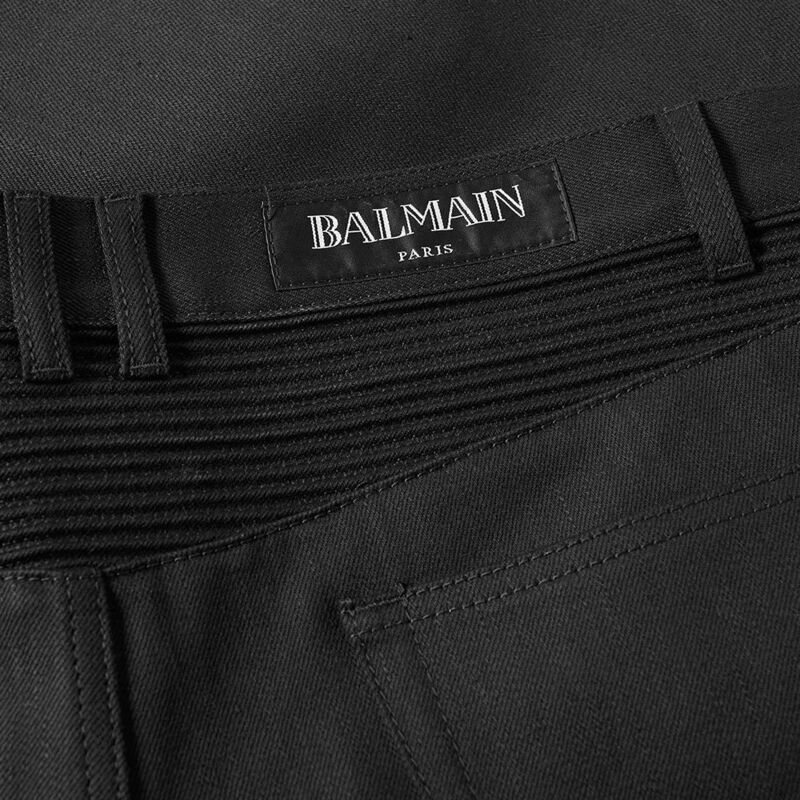 An essential luxury garment from the Balmain roster, Oliver Rousteing offers the perfect combination of statement style and exceptional quality. Detailed with ribbing to the thighs and articulated knees, the Parisian couture house continue to develop their trademark jean. 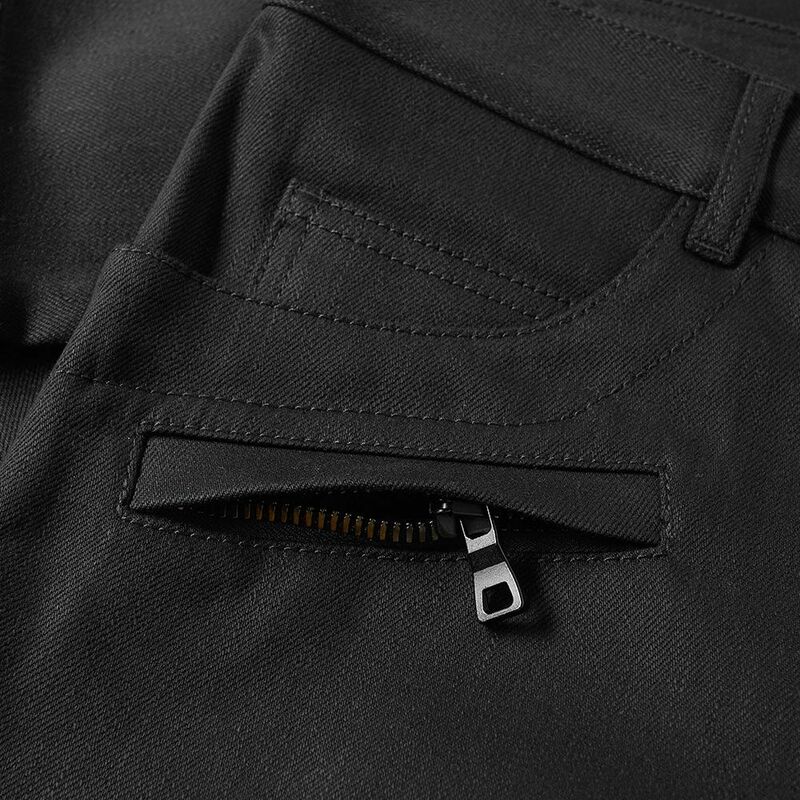 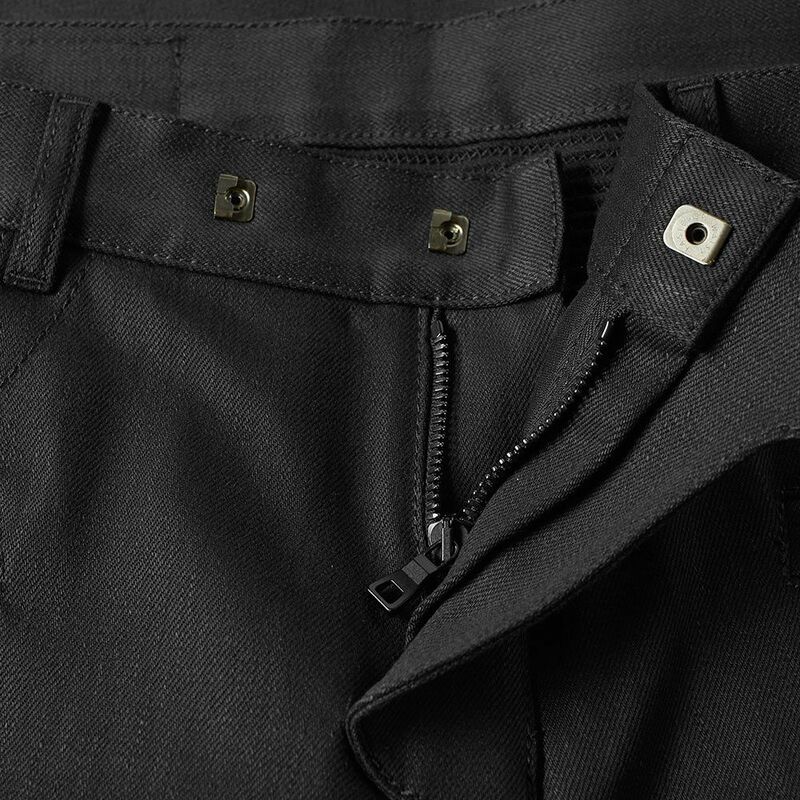 Dressed in a slick black colourway, this pair are constructed with a traditional five-pocket set up, embellished with a further two zip stash pockets, ensuring you have ample room for your essential items. 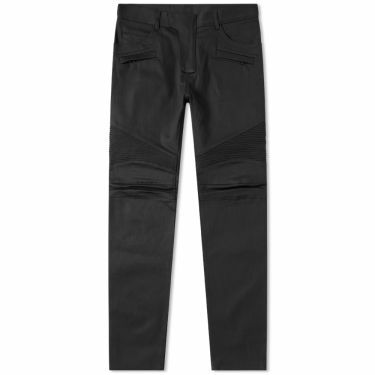 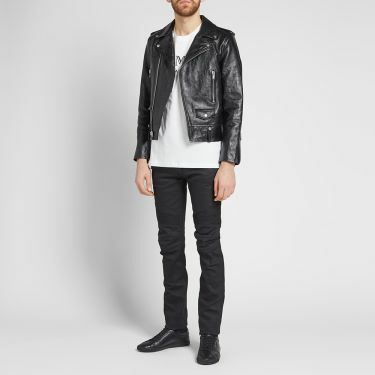 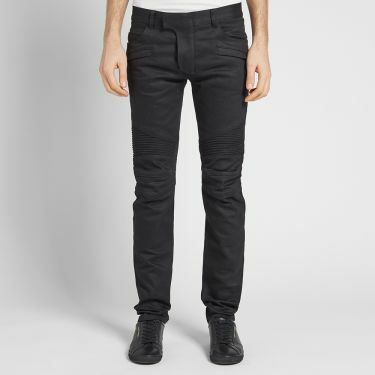 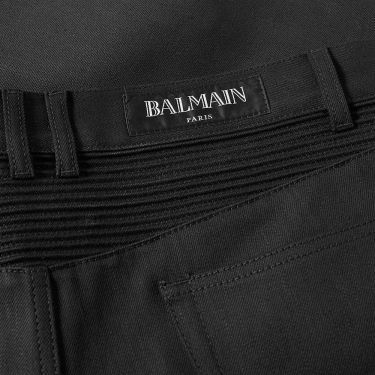 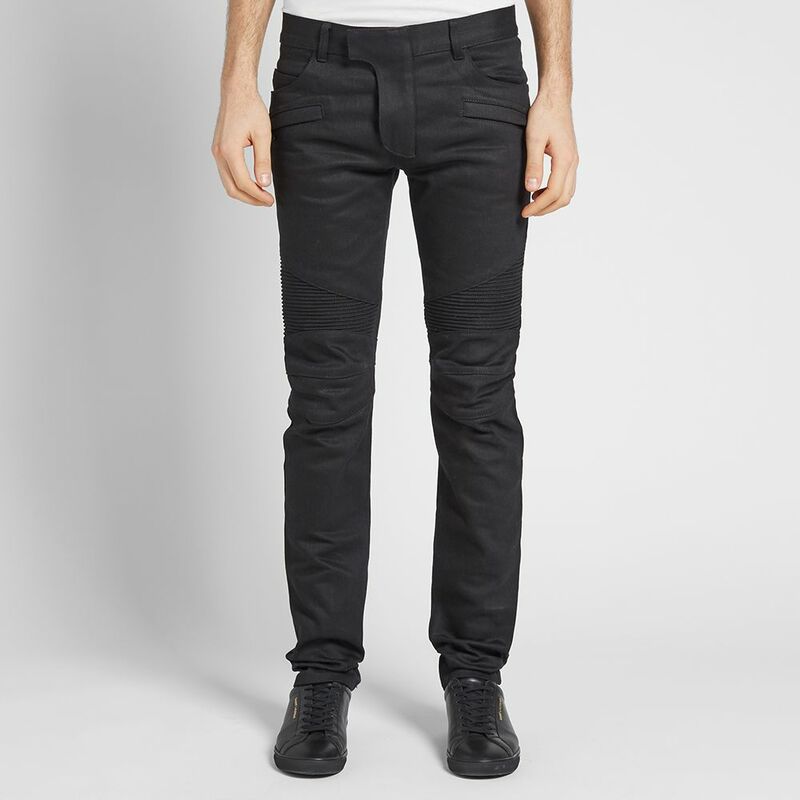 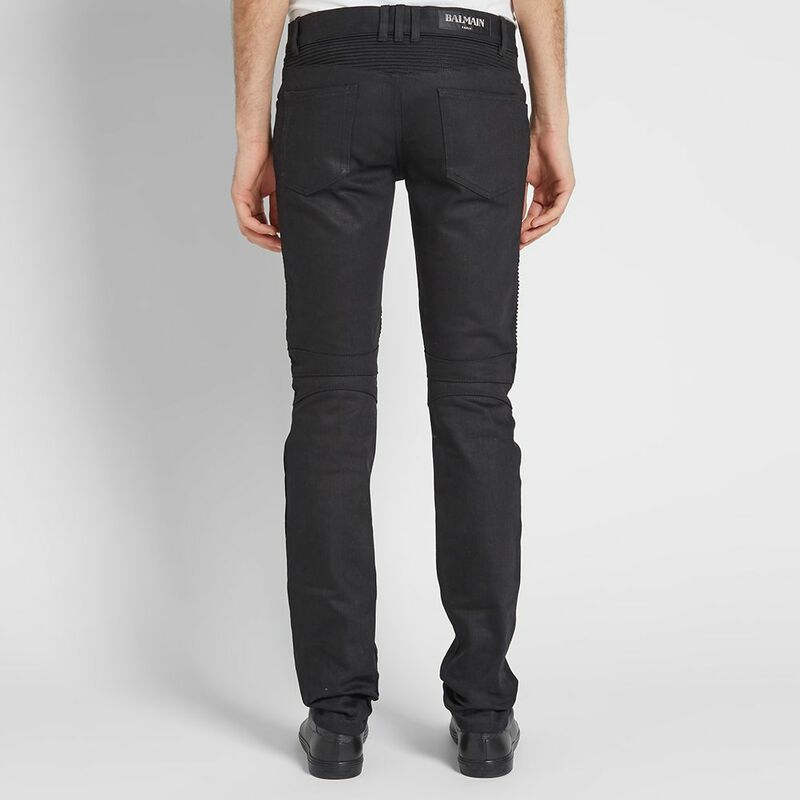 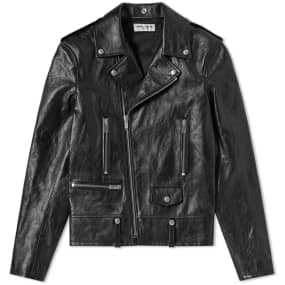 Complete with Balmain’s signature leather brand patch, luxury style has never looked so good.